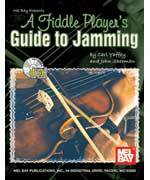 This book presents everything a beginning or intermediate fiddler player needs to know to participate in a jam session. There are sections that describe the anatomy of a jam session, jam session etiquette, chords and keys for jamming, and vamping. A play-along CD is included with 9 typical bluegrass jam tunes. The tunes are played twice: once with the tune played on the left channel and a verbal description on the right channel, and once in stereo. (07) What Can I Bring to the Jam? Kenny teaches more advanced fiddle techniques in bluegrass and country-western styles, including a variety of slides, triplets, double-stop harmonies, rhythmic patterns, turnarounds, rolls plus a selection of fancy licks and endings. 70-MINUTE DVD INCLUDES MUSIC LEVEL 1/2. Download now from PlayBetterBluegrass.com! Craig Duncan performs 32 tunes from the popular book, Mel Bay's Deluxe Fiddling Method. Each tune is performed at slow and medium tempos. Shuffle bowing and double shuffle bowing techniques are presented. Notation is shown at the bottom of the screen beneath split-screen views of both hands. An Ultra-Easy, No-Fail Play-Along Session. Any level, any instrument. Seventeen classic songs are played at a slow, easy tempo. Only four basic chords (G, C, D and A) are needed to be able to play along with the band. 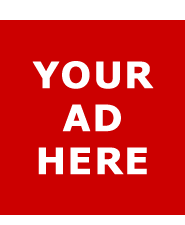 Includes important tips, advice and encouragement. Pete Wernick has the perfect solution for novice bluegrass players who want to start jamming, or for any picker wanting to build experience and confidence. He has created a video jam session so that players of any level can play along with some experienced musicians and get ready for the real thing.